"Probably the attractive female will get the young men vote," Evan said, head still on the desk. "For young women... probably someone who shows they understand them." "And someone with a bit of pizzazz. A forceful personality who willnae blend into the shadows and disappear with Cassi, er, Kasick...The nut. Ye ken the one I'm talking about." "I resent that!" Cassidy declared, "I didn't realize you were such a sexist Evan... Young females will want to go for the most attractive male just as much as the males will go for the most attractive female." "Oh, for cripe's sake..." Bree groaned. "Hmm, which is the most attractive... I like a mercurial man myself, one with a great sense of adventure and spontaneity, which is nay necessarily the best personality for a world leader. Then again, it could make for a fantastic story for the history books, and isnae that better than some solid, reliable, person?" "Oh look! We're out of time!" Havox suddenly interjected. "But, there's still twenty mi—"
"And now I turn this broadcast over to my colleague (not really) and fellow mercenary Killroy of Eastport down at the debate stage." The camera shifted to the bombed-out remains of an auditorium with a surprisingly full crowd consider chunks of the building were covering half the seats. Located a makeshift table in front of the stage and with their backs facing the crowd were the moderators. "Thank ye, Ty. I be Killroy of Eastport, along with me band of fine lads and lasses here to moderate this 'ere debate tonight. 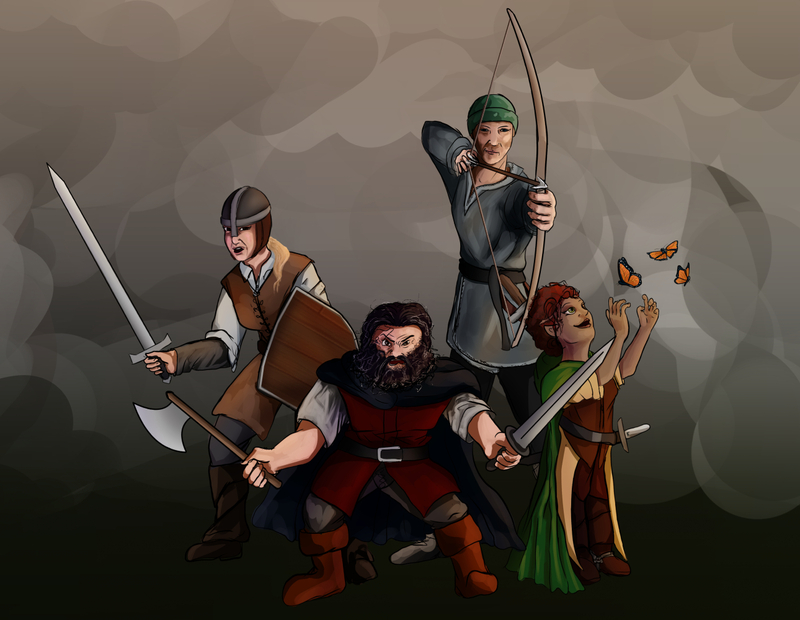 Those being: Mhaenal the Elf, Todd the Dwarf, Glink the Halfing and Lydianna of Cerulia. And now to meet the candidates, aye?" Killroy greeted the audience. The camera then shifted to the stage as the first of the candidates stepped out. "Republic SIS Agent, Captain 'Eyeballs' Strayker from The Sanctimonious Seven." Killroy introduced the first. Strayker gave the audience a cold wave, but didn't smile or anything to that effect. He was greeted with a fairly equally cold reception of light applause as he took his spot on the far end of the debate stage. "Retired fighter pilot, Lieutenant Commander Krystal Johnson from Dawnbreaker." Killroy continued. Krystal came out, actually wearing her old Confed flight jacket instead of her N7 armor and assumed her assigned spot, giving a friendly wave to everyone on the way. She did have her lightsaber on her belt, but it was more for show right now. "Thank you," she said to Killroy before pulling out a bottle of water and setting it on her stand. "Retired Imperial Navy Admiral, cybersurgeon and scientist from Dawnbreaker, Alexander Grage." Killroy continued. The well-seasoned officer stepped onto the stage and offered an energetic, if not rather shaky, wave to the audience, before taking his place behind his podium and giving Killroy a nod. "Co-Leader of the Operation, the Director of Operations... from the Operation." Killroy resumed, hesitating slightly at the repeated operation references. Out stepped the Director of Operations in his usual flavor of the day mask (It was crimson this fine evening) and black suit and tie. He stiffly waved at the audience, not looking at them as he made his way to his assigned spot next to Alexander Grage. The crowd offered the Director a much more lively applause, and even a few cheers. This was likely due to the fact that this debate was taking place in Wyoming, in a facility owned by the Operation, and in an event being hosted by the Operation, and with a crowd that... was probably mostly bought-off by the Operation. So yeah. "Sith Lord and Emperor of the Shadow Empire, Ludamigus Gatekeeper." the next introduction rang-out. Heavy footsteps marked the approach of the Gatekeeper. 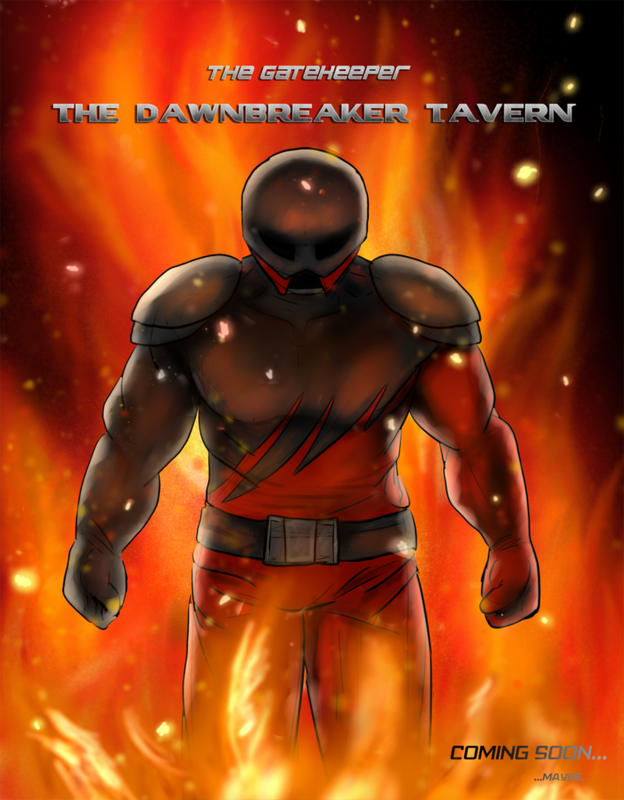 Stepping through the curtain, dwarfing everyone else, the black and red clad monster of a man slowly made his way across the floor, not waving at the crowd, not looking at the crowd, or gesticulating of any sort. At the crowd. Once at his podium he quickly realized it was far too small for him and simply tossed it aside into the corner, somehow sparking a fire. From there he finally turned about face and looked out into the sea of faces, not looking at any one of them, but looking at all of them. A nervous, but enthusiastic applause and set of cheers followed the display. Killroy raised his eyebrows a bit and leaned back, hoping that fire backstage wasn't going to get serious or anything. "Right... and next be... Mercenary and time-traveler, The Assailant from Dawnbreaker." Nothing happened for about fifteen seconds, at which point the man in red himself wandered onto stage, focused more on his wristwatch than anything else, muttering under his breath about lizards. He walked right past the Gatekeeper before realizing that A, he was on stage, and B, he was supposed to be on stage, and C, he'd already gone past his podium. After proceeding through the mental checklist, he stepped up to his spot and gave the audience a genuine nod - whatever the hell that looks like - and a wave. Krystal blinked and looked over at the Assailant. Over the relatively average applause, there could be heard a few teenage girls screaming... or maybe it was just Cassidy somewhere in the luxury boxes with tape-recordings of herself just to make it sounds like there were more girls screaming... for whatever reason. Not that this mattered, as Killroy was quick to continue. "Eleanor Tate... Lambert... Keller... Oi... Eh... Magic-user from Dawnbreaker: Legacies." he said, then added in a low tone so the microphone couldn't pick it up, "And way too young to be president..."
A moment later a short, dark-skinned, curly-haired barefoot little girl of about seven or eight years old walked onto the stage, her grey eyes and four pupils scanning the crowd like it was a dessert buffet. She wore a grey hoodie over a teal dress and purple leggings, and on her back she carried a worn backpack that appeared to be moving. She grinned brightly and waved at the crowd, apparently too excited to watch where she was going until she collided with her podium and fell on her backside. She blinked up at it a couple of times, then stood, dusted herself off, and climbed on top of it so she could reach the mic. Krystal blinked again at the sight of the little girl. The crowd was more amused, confused and... something that rhymes with those other two words... than anything. So they gave her a fairly warm welcome to the stage regardless. 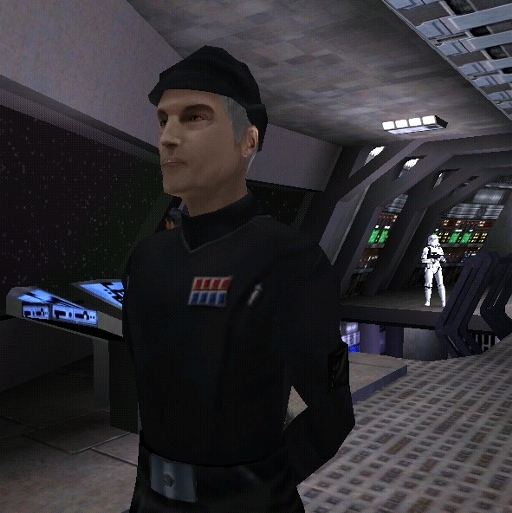 "Mercenary company leader, Commander Morrison from The Special Force." Killroy then said, sounding like he was beginning to fatigue from all the candidates. A tall man who was in his mid-forties walked onto the stage. There didn't seem to be anything special about him as he walked to his podium and warmly waved at the crowd. 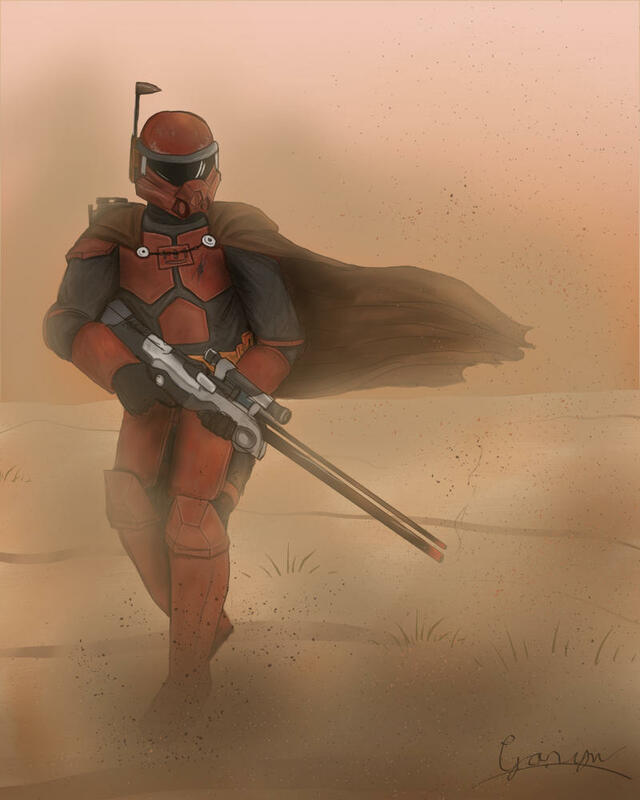 He was, however, mildly upset at the lack of the trademark when The Special Force™ was mentioned. "And finally, escaped convict Redford, from... The Curious Fools...?" Killroy announced the last participant, then looked over to his associates with a confused look, "I don't recall this lad bein' in our RP..."
Glink waved at both of the latest candidates. "He's the red spy all right." Glink said, still waving. "Right then, let's begin... Many people in America be worried about the current state of the Middle East. Mr. Gatekeeper, what specifically would ye do to stop ISIS?" The Gatekeeper spoke not a word, but he did avert his all-encompassing stare from the audience at last, panning his eyes very slightly to redirect said gaze at Killroy and the rest of the panel.